This story begins in the wreckage of a professional setback: one that could have been averted had I known what I know now – the New Rules for Better Communication. I once worked for a MASSIVE Lion: forceful, opinionated, he had a vision of a leisure business that would be the world’s best, built on the best facilities, each one a monument to his ambition for the organisation. In my role, responsible for delivering each project on time, on budget, and producing an acceptable return on investment, I quickly went into full Elephant mode: creating systems and processes to evaluate each project, mitigate risk, prioritise, and deliver according to a prudent schedule, in line with the available capital. Unfortunately, my approach seemed only to antagonise the Lion. The more I explained the system, and emphasised the risks as I saw them, the more impatient he became. As you can imagine, it didn’t end well. We soon parted company. Looking back, I realised that I could have handled the situation differently – Lions need fresh meat, so I could have emphasised the projects we WERE doing, rather than the processes, the risks and the reasons for NOT doing other projects. Lions simply aren’t interested in that sort of thing. Much earlier in my career, in a new role at the Tower of London, I worked for an accountant. Now, accountants are often Elephants – detail-oriented, cautious, risk averse, thorough. 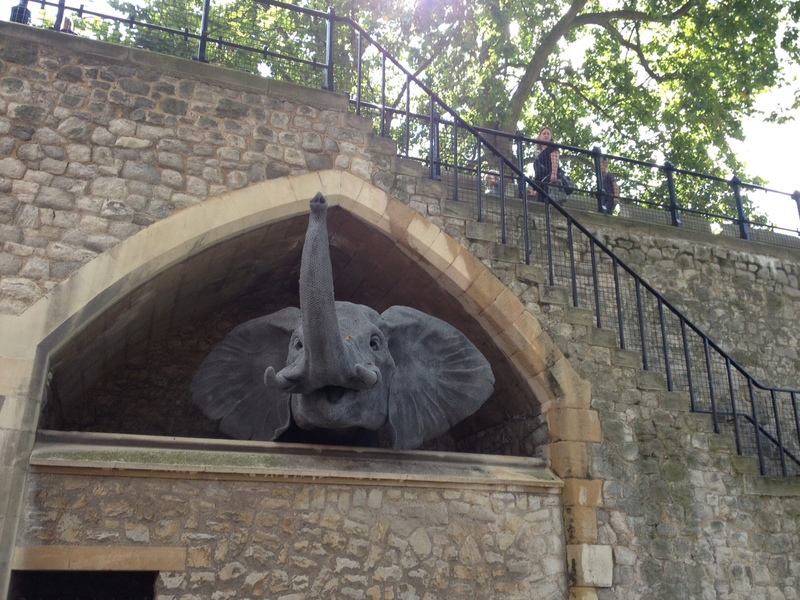 If both of us had operated as Elephants, we might not have got much done! This accountant, however, was at the top of his game, highly experienced, secure, and liked to indulge his inner Monkey. Young and inexperienced as I was, my Elephant was encouraged and supported to create and implement a strategy infused with creativity and positive energy – acting enough of a Monkey to lead my Team of Dolphins through a period of sustained change and success. And the Dolphins? – well, this was a Team of loyal, long-serving people; sensitive and risk averse perhaps, yet supportive and committed once the changes were explained to them, and with their concerns and feelings being taken into account. With Elephant experience and thoroughness underpinning Monkey creativity and energy, the Dolphins rose to every challenge, and the organisation’s culture and business performance was transformed. It so happens that our ultimate boss was another Lion – a retired army general in fact. He held the overall vision – and at our weekly, short, focused, management team meetings he was kept satisfied with summary reports of progress being made. 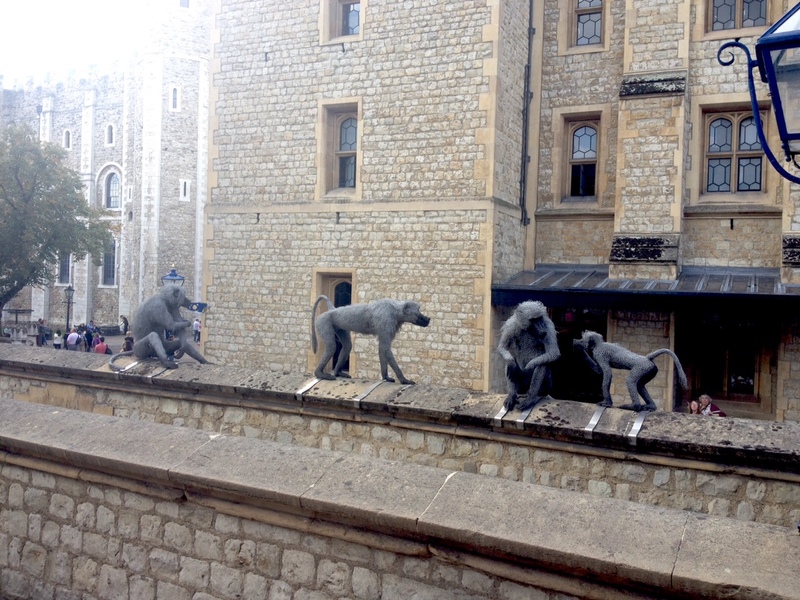 Lions, dolphins, elephants and monkeys? Sounds like a zoo! It is – a Communications zoo, with everyone trying to Communicate in their own style and language. With Monkeys trying to joke with long-suffering Elephants and impatient Lions at odds with nurturing Dolphins, the result is chaos. That’s where a good Zookeeper makes all the difference. 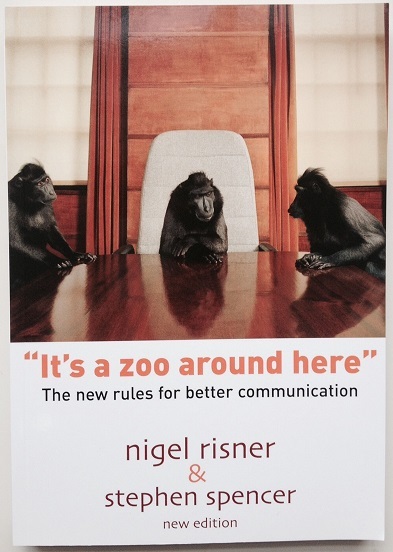 Not long after my unfortunate experience with the ambitious Lion, I discovered Nigel Risner‘s Communication programme “It’s a Zoo Around Here” – and it impressed me so much that I am now a Licensed Trainer and Nigel Risner Associate. The programme shows how you can become a more effective Zookeeper by recognising the variety of communication styles used by the animals in your zoo, and adapting your strategy accordingly. There are of course, countless Communication theories and programmes in existence. many of us will have been analysed and classified via Myers-Briggs or Belbin, to name but two. In fact, our leisure management Team received a Belbin report which showed that we had a preponderance of “Shapers”, a corresponding lack of “Implementers” and no “Completer-Finishers” at all; no wonder the “Teamworkers” could only look on whilst chaos reigned! Similarly, like many managers I “know” my Myers-Briggs profile (ESFP, since you ask) – I say, “know”, because whilst I understand how I see the world and react to it, it’s not easy to apply to others, especially in a dynamic environment where decisions tend to be made under pressure and the cast of characters is subject to frequent change. The bottom line is, “We are all individuals”, we all have our own likes, dislikes, talents and passions; we all have our own “map of the world”. Given that good Communication underpins all successful enterprises, and that, as Henry Winkler said, “Assumptions are the termites of relationships”, what every organisation needs is for its people to be able to relate to one another – quickly, easily, enjoyably – and understand how best to Communicate with one another. Despite the fact that any analysis of Communication styles is liable to be hugely complex, a simple system of categories can be hugely useful in helping us make sense of our world – after all, a system is only useful if it is used! Most importantly of all, the programme will show you how to become a Zookeeper – so you can nurture each personality (feed each animal the right food) and create a happy, cohesive Team that Communicates instinctively, and thus makes better decisions and achieves more productive outcomes.